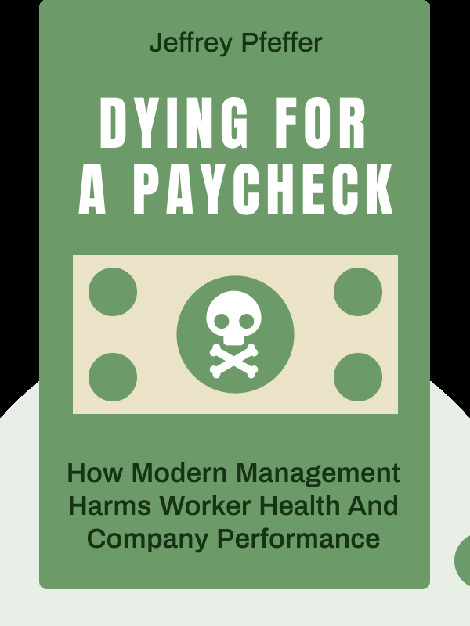 Dying for a Paycheck (2018) reveals that 120,000 American die every year because of work-related health issues. This makes work the fifth leading cause of death in the United States – and as dangerous as second-hand smoke. But things could be different, as a number of companies have demonstrated. 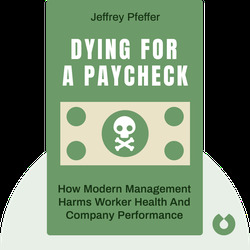 Backed up by hard facts and the author’s years of expertise, Dying for a Paycheck presents timely solutions for a pressing issue. Jeffrey Pfeffer is an American business theorist and currently the Thomas D. Dee II Professor of Organizational Behavior at Stanford University. He is a recipient of the Richard D. Irwin Award for his contributions to management theory and is the author of numerous books, including The Human Equation: Building Profits by Putting People First (1998) and Managing with Power: Politics and Influence in Organizations (1992).